The Ondo State Governor, Arakunrin Oluwarotimi Odunayo Akeredolu (SAN) Slashes Down School Fees of the Adekunle Ajasin University, AAUA after Plea by Parents - See New School Fees Regime. 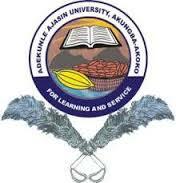 This is to inform the students of Adekunle Ajasin University, their parents, guardians as well as the general public that Academic activities have commenced for the 2017/2018 Academic Session as earlier announced. All fresh and returning students are required to pay their school fees and resume as scheduled. Students are also to note that the deadlines for online screening, registration and payments would be strictly adhered to. This press release supersedes the earlier one dated 5th April, 2018.